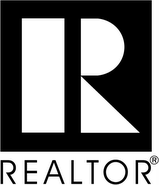 I read many blogs every day, especially ones related to the real estate industry. Yeah…I know what you’re thinking…duh Paul…you’re a REALTOR, of course you read about your industry. Now chances are, there are a lot of you out there that subscribe to my podcast that are REALTORS yourself, so I feel the need to point out one particular blog that I have really enjoyed reading. The Real Estate Tomato. Wow, great information. I encourage all of you REALTORS out there to check it out. But how this relates to everyone else out there that doesn’t care for blogs that cater specifically to REALTORS, is that their latest post questioning if “Big Brother” is dead involves everyone…REALTORS, Buyers, Sellers, Owners, Tenants and Investors and it involves you too. In the world of blogging & wikipedia entries, everyone works together to bring their videos, their pictures from their camera phones, and their own comments on blog posts to form a real and true picture of how something really is. When I post my listings or available rentals online, on my blog or on this video podcast, I can only hope that my audience will participate in its description and perception. 1) Do you think that I should take my real estate knowledge of specializing in investing and managing rental properties and create some sort of “how-to” seminar? 2) What is your first impression of Dizmang Properties (if you have dealt with us directly) or what are your first thoughts of property management in particular? 3) Considering that I am the only video podcaster that I can find in my area doing real estate video podcasts, do you think I should offer some sort of “how-to” seminar or instruction for other REALTORS? 4) What features do you like/not like about our new web site at www.getpaul.com? How can we make it better? I thank all of you who have voted for me at Podcast Alley, posted comments on my blog or even just viewed my videos on YouTube and those who have given me the appropriate star count for my videos. You’ve made me realize what my business has to offer and what it truly is. You can help me out by going to my web site at www.getpaul.com and you can find direct links to my blog, my videos and even Podcast Alley where you can vote for my podcast. Thanks for subscribing and stay tuned…I’ve got lots more to say about the real estate and property management industry and it only gets more exciting from here on out.